If I notice a blank canvas, or if you standstill long enough, something is likely to be embroidered. You have been warned. This proved to be the case with a dress I had bought Grace, from Goodwill (a dress that I think is actually a women's top...sigh). 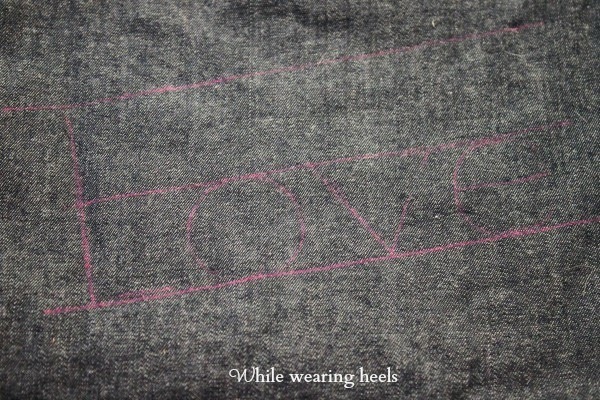 With a water soluble pen in hand, I decided to sketch out LOVE, written in faux school lined paper. 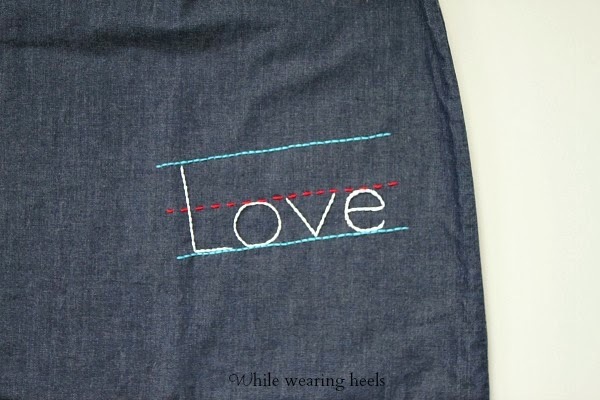 With a needle and thread, I embroidered over the lines and 'Love' using a back stitch. If you've never embroidered, I promise you a back stitch is SO easy. Of course, if you don't want to embroider a 'Love' letter dress yourself, you can always purchase one at Anthropologie for over a $100. Or you can find a blank canvas of your own and add your own personalized embroidered touch for a fraction of the cost. In my case, $2.99. ohmygoodness - such sweetness! 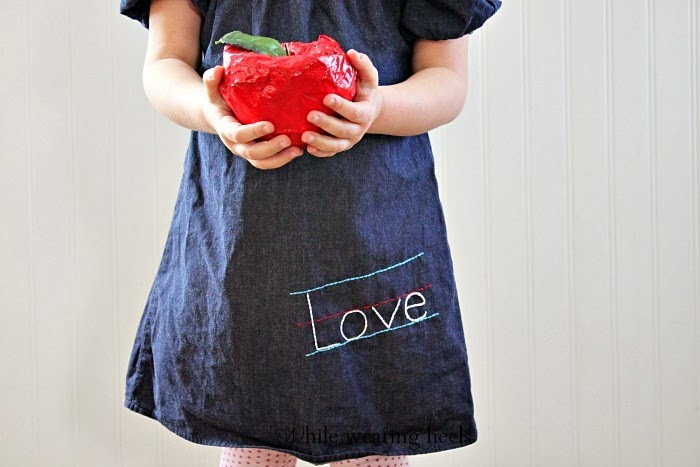 and I see she's holding that sweet papermache apple she made you. i'll have to tell my niece about this. Absolutely adorable! So very clever of you. I just might have to give embroidery a try. I've done cross-stitch and found it very relaxing. 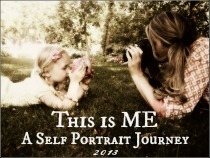 Beautiful work Amy! I love embroidery too, but have never learned. My sewing machine has a few tiny embroidery stitches and it makes me want a big machine! I've never done anything by hand. I'm in awe of your mad skills! Thanks Amy! The feeling is mutual. 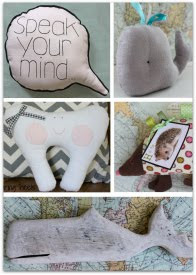 I am always in awe of your sewing skills. Ha! Glad to hear that Grace isn't the only one wearing a lady's top as a dress :). Thanks for your sweet comment Maysem. Amazing!! This is beautiful. I love the idea. When I see this, I am grateful for a beautiful piece of your work! $100 for a kids dress CRIKEY!! I love yours it's adorable and with a much more sensible price tag. I love embroidery it's one of those things I tell myself I am really going to concentrate on.....then don't. This is adorable, Amy! I love it! How cute! Making it look like school lined paper makes it even cuter and the price is the icing on the cake! 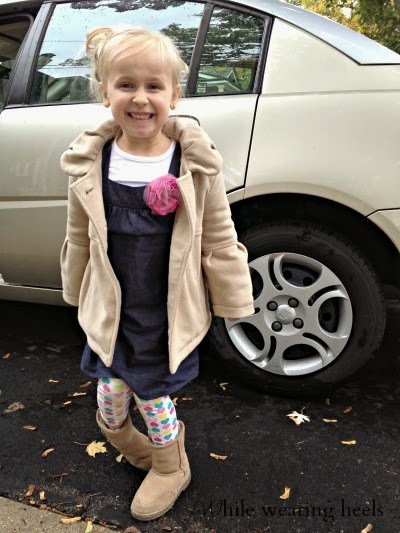 Cute with custom clothes, surely to drive the little boys....and the little girls mad. Love it! A $100 dress- oh my. I know, right? For children's' clothes. Why the *sigh*. It's ok if it's a woman's top. It's cute as a girls' dress! 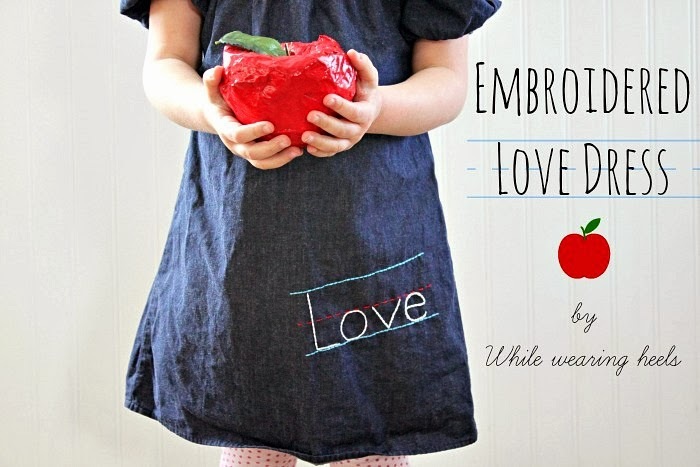 I love that the "love" is on denim, makes it look more like a chalkboard than that Anthropologie version. Seriously, who spends $100 on a piece of clothing for kids! Great job! So cute Amy! Loved this when I saw it over on fb! I think this is adorable. I love that you made the notebook lines. You are too cute.